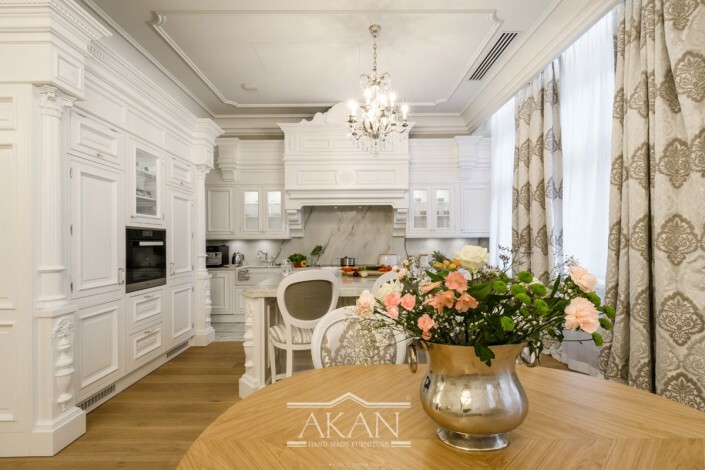 The furniture from the Royal line is dedicated to those who appreciate everyday with a blend of sophisticated luxury; who are familiar with good taste not only in food but also in the interior. 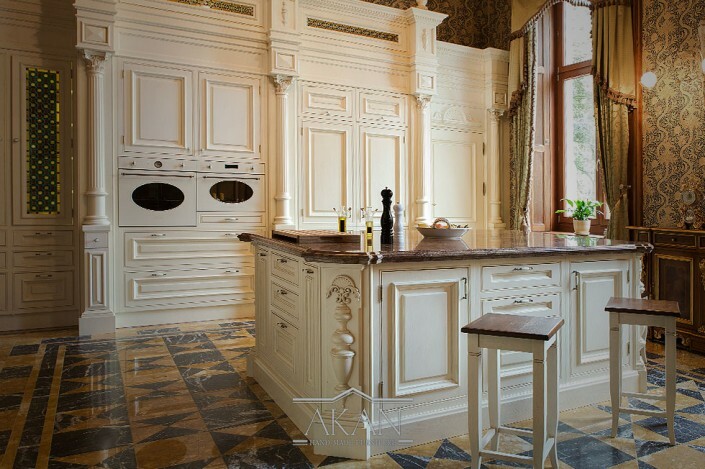 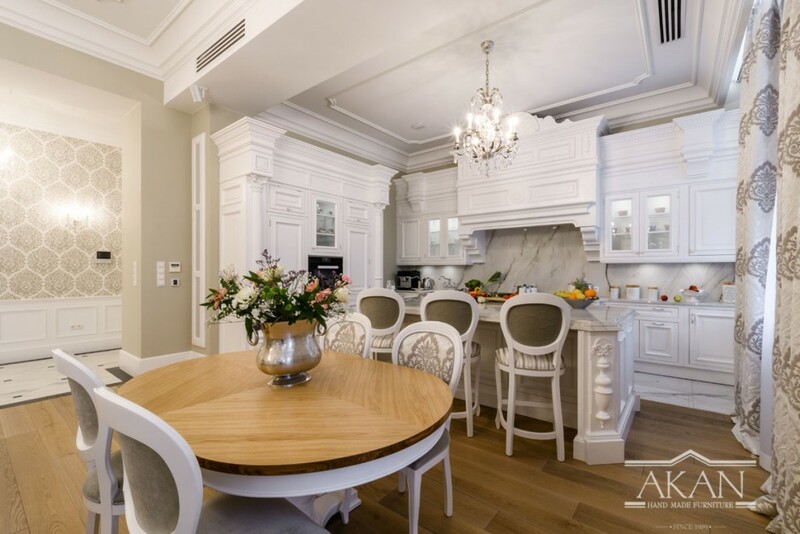 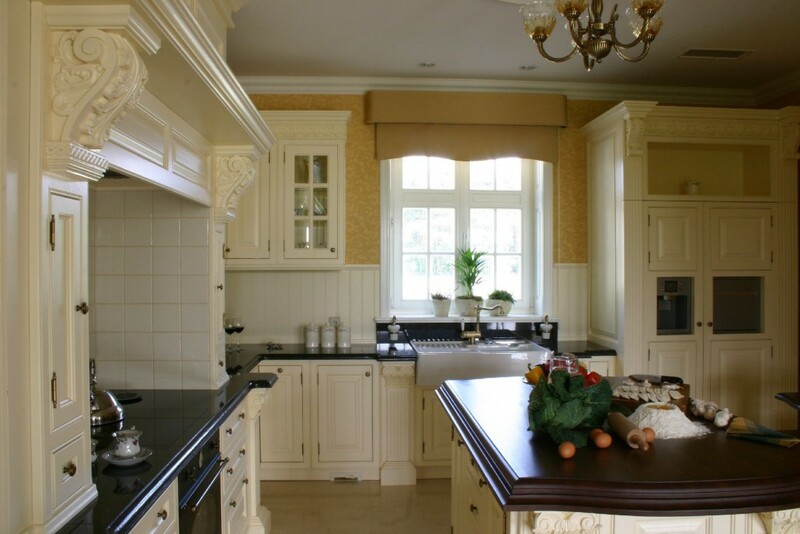 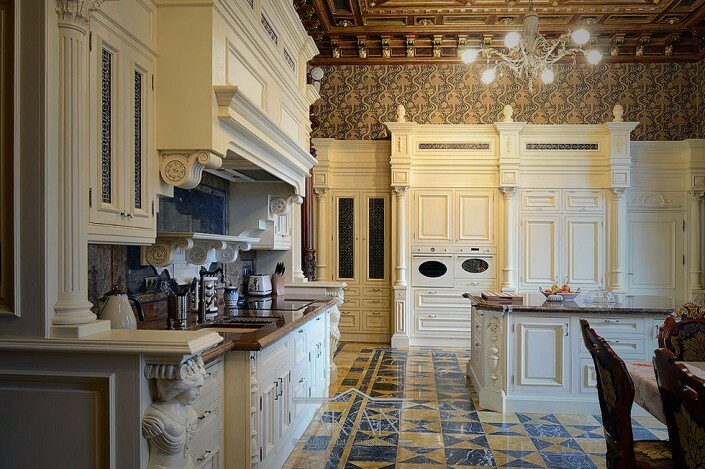 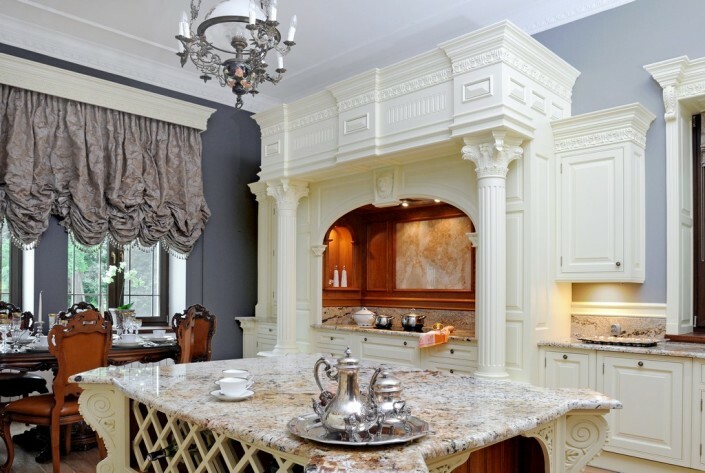 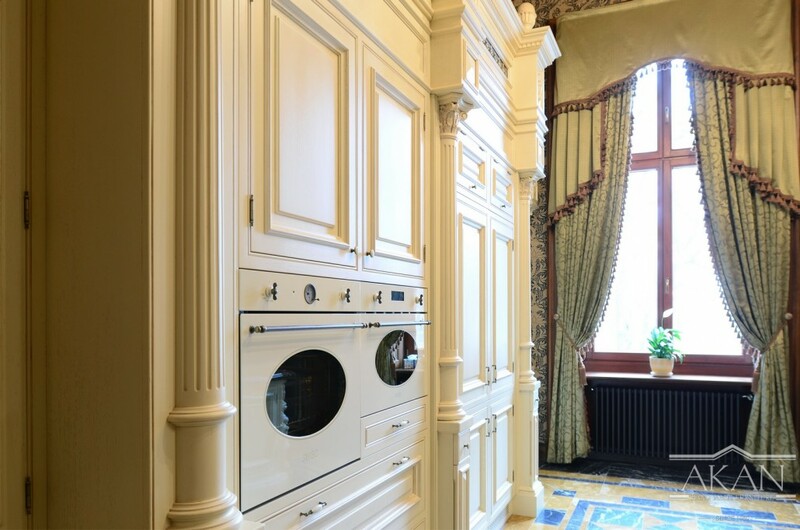 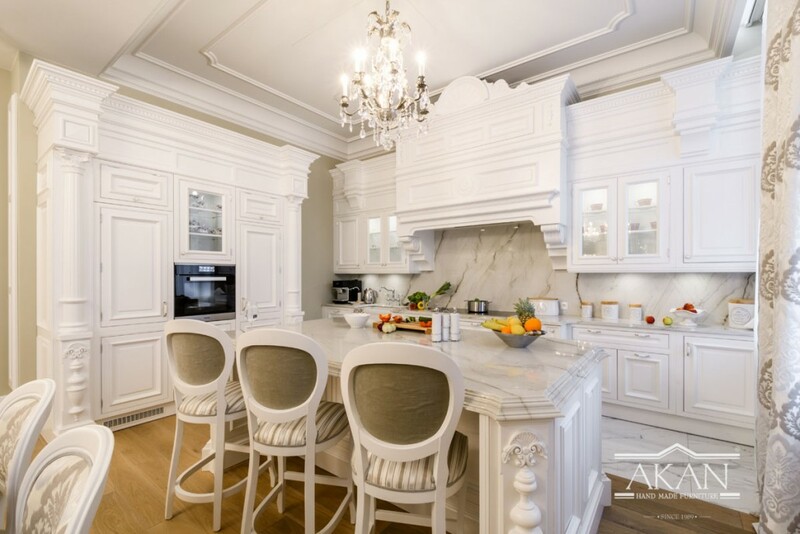 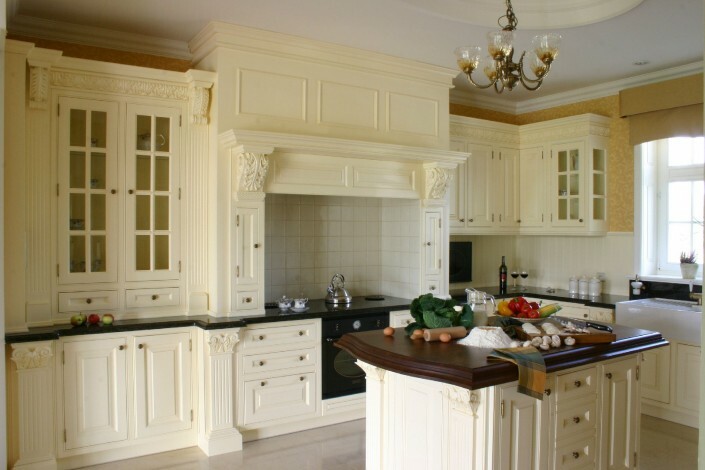 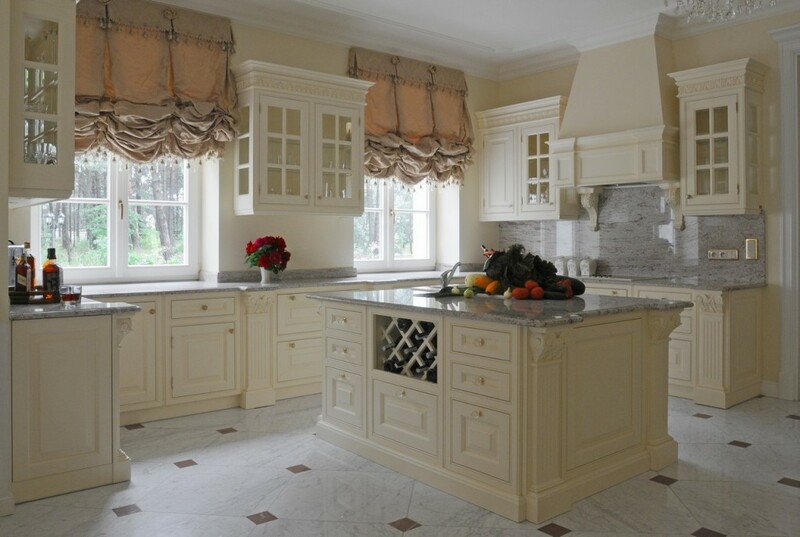 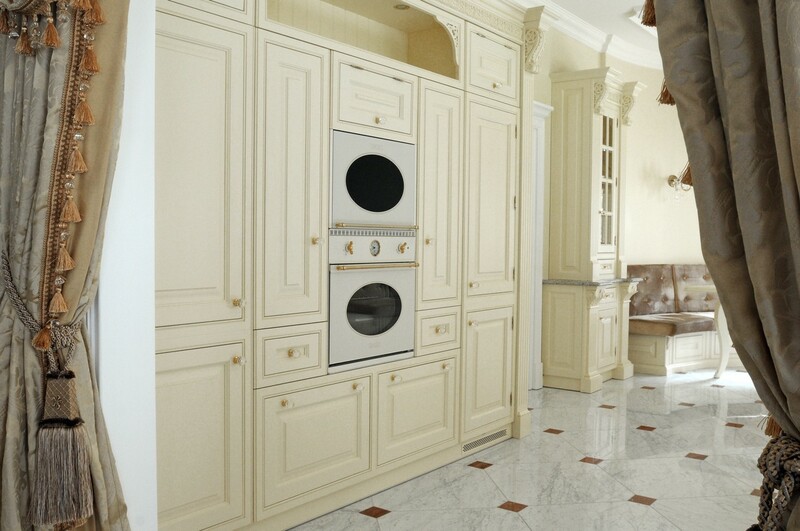 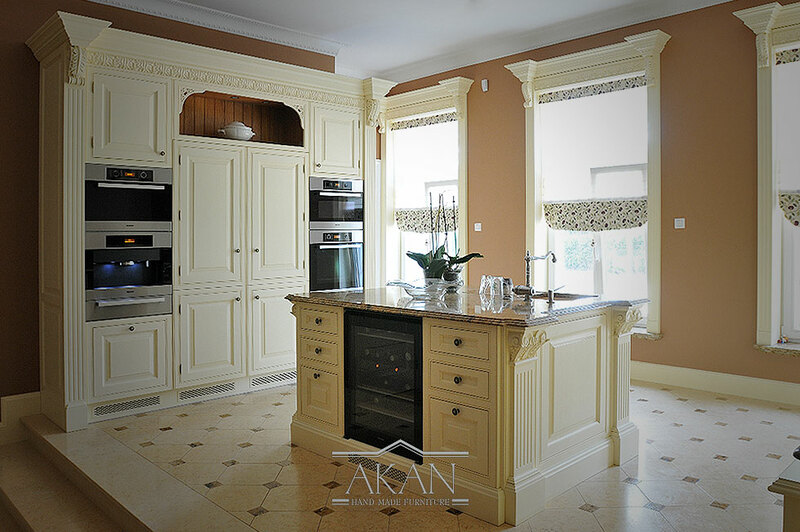 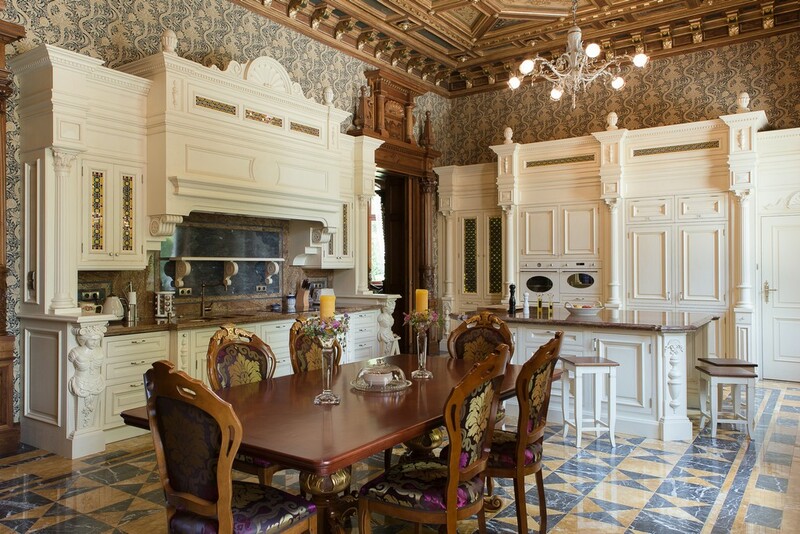 Fascinating residences and magnificent palaces, Royal furniture is the heart of an exclusive kitchen arrangement. Their uniqueness is demonstrated by a special process of creation, based on many years of craft tradition. 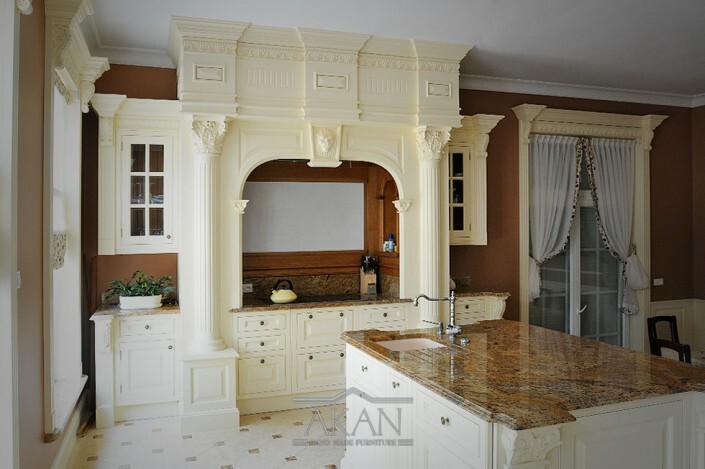 The material – best quality solid wood and handmade work make us the most complete expression of the art. 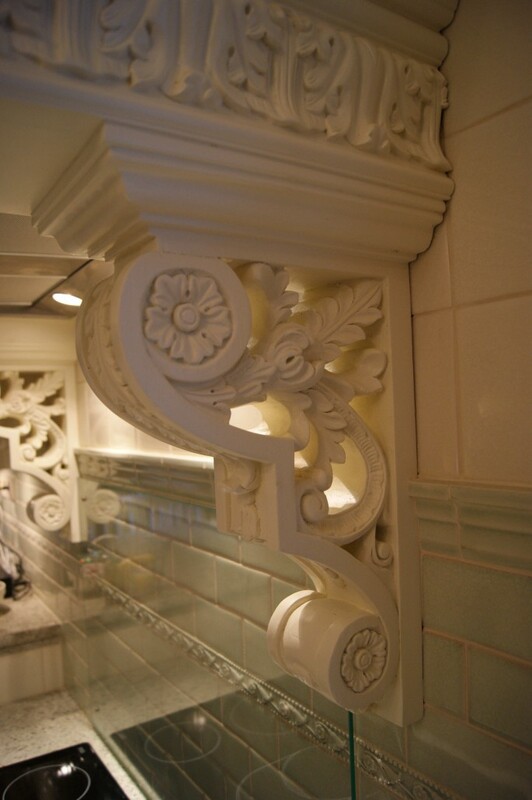 The Royal Line is a superb detail. 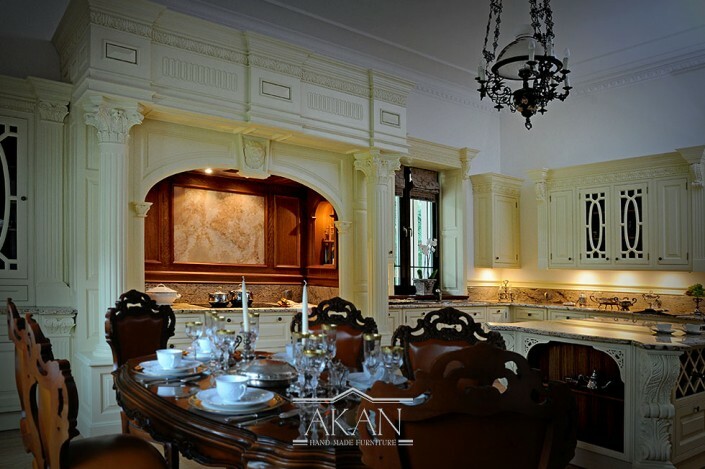 Hand-made wood carvings and gold-plated elements create an aura of undeniable prestige. 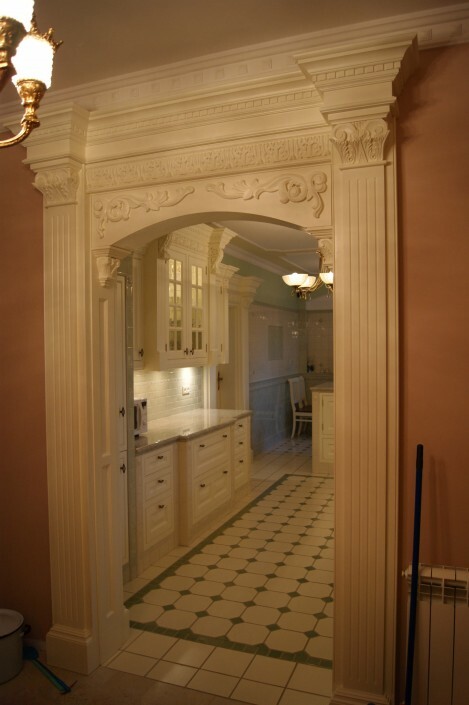 Combination with the classical form creates an impressive composition, yet not exaggerated. 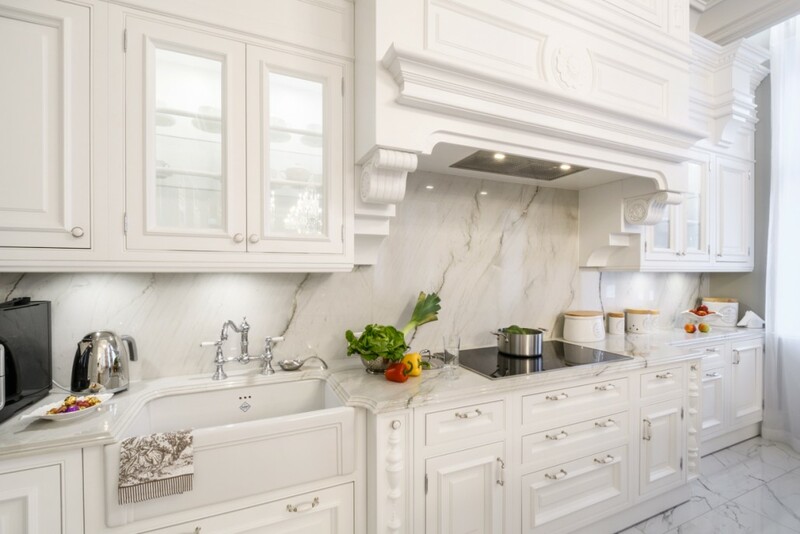 Thanks to refined precision, there is a constant floating of a discreet luxury which complements the taste of delicious dishes and makes common moments special and unforgettable.